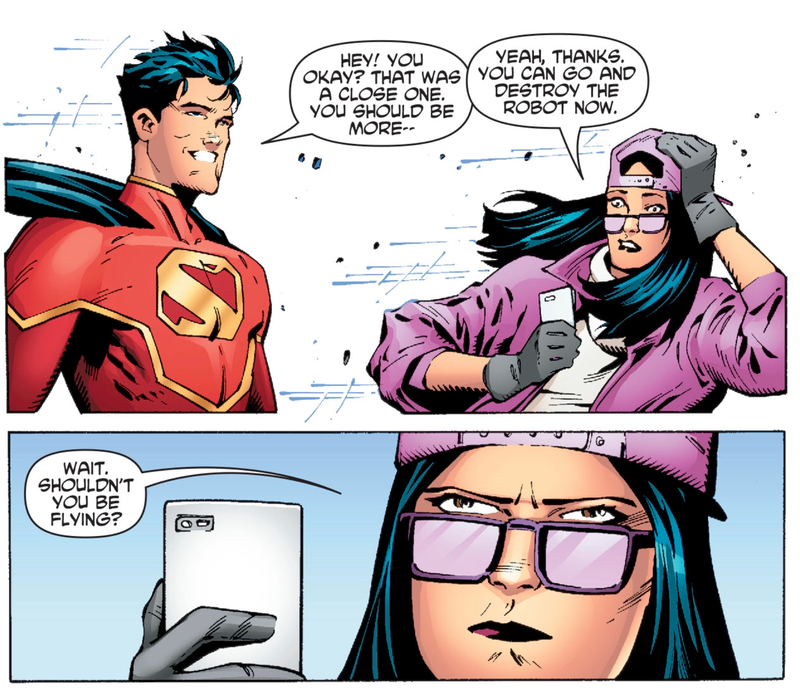 New Super-Man 19 takes place early in the New Super-Man timeline, about 6 weeks after the debut of Kenan as the New Super-Man. We learn that, thanks to a hot tip and a lot of good old fashioned investigative reporting, Laney knew that Dr. Omen is Kenan’s mom way before Kenan got brought up to speed. But outside of this one bit of news, Tamaki isn’t concerned with Super-Man or Bat-Man or superheroes at all. Instead, the issue is the portrait of a talented young person frustrated in her life. She treads water at work, pumping out government-approved puff pieces for Primetime Shanghai instead of the investigative reporting she wants to pursue, and her family life is a mess — her father lives in America and sends money back to her and her mom in China, all the while leading a second life with an American wife and kid. All of this goes a long way towards making Laney Lan a more dynamic character, distinct from her Superman doppelgänger. 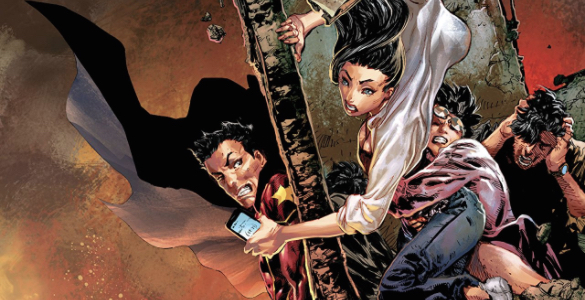 It’s not the most exciting issue of New Super-Man ever, but my hope that so much focus on an otherwise tertiary character means Yang has bigger plans for Laney when New Super-Man and the Justice League of China launches next month.